I know it's hard to believe, but Easter is around the corner! In fact, it's just a HOP, skip and jump away! So it's time to break out the mini chocolate Easter eggs...ummmm...I mean...it's time to break out the treat containers to hold those mini chocolate Easter eggs! 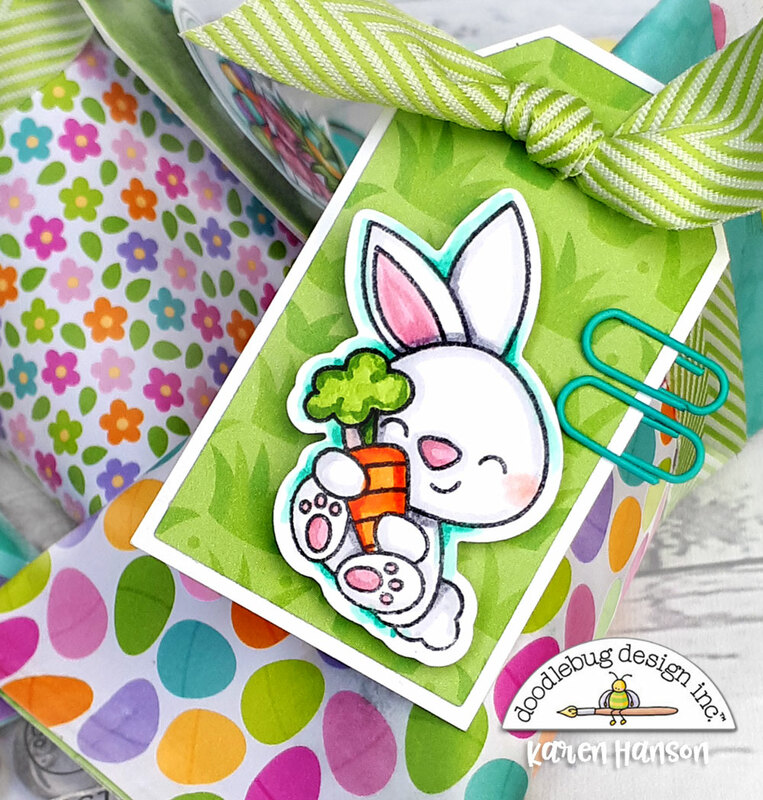 So it's a good thing that Doodlebug has an adorable new Eater collection called Hoppy Easter and some amazing coordinating stamps and dies! 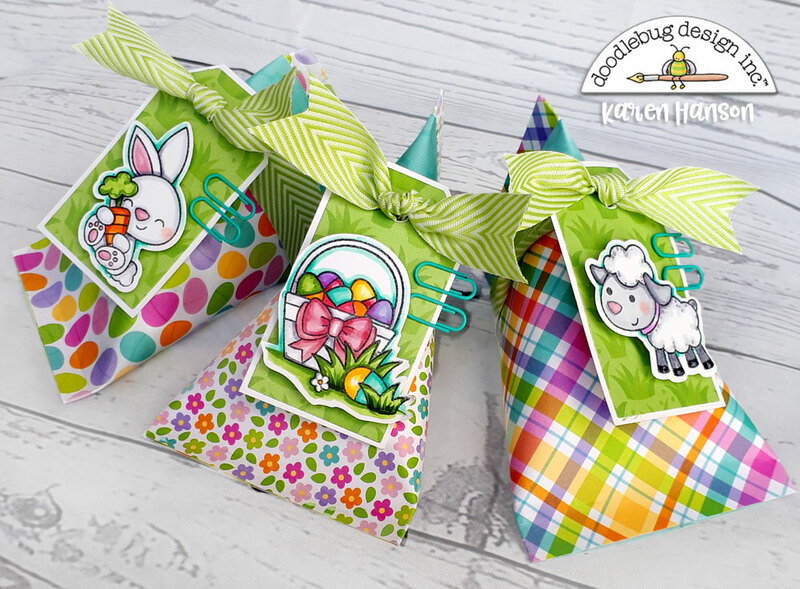 With those in hand, I was able to whip up some adorable "sour cream" treat containers cute enough to hold said eggs...if they last that long! These little containers are a breeze to whip up. You can find many tutorials online, but a simple paper roll is created and then pinched together and sealed with adhesive in two different directions. That's all there is to it! 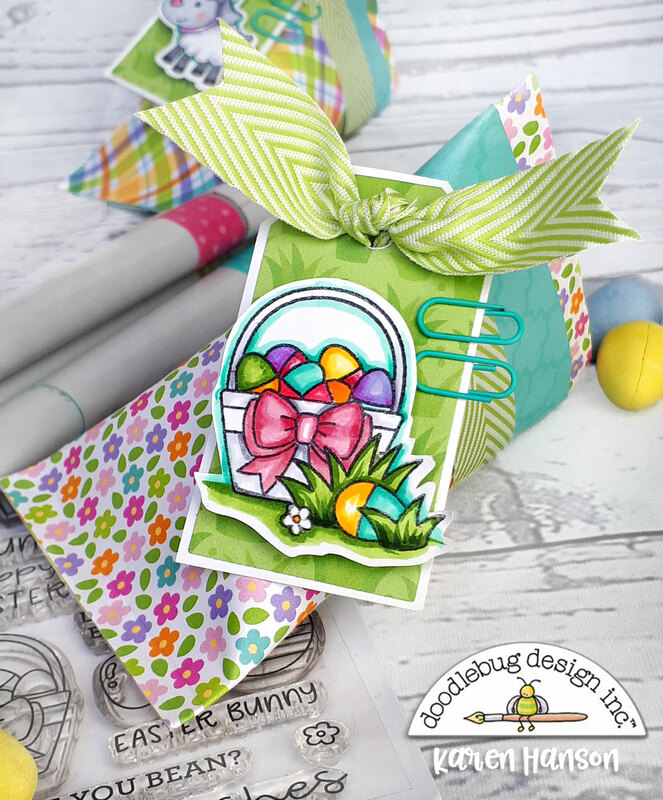 I topped mine off with some of the adorable stamps from the Hoppy Easter stamp set, and then used the handy, handy coordinating dies to cut them out. And see that adorable tag that each stamp is on?! Well that little shape happens to come from another die set that Doodlebug has created - So Much Pun - Pill Better set. 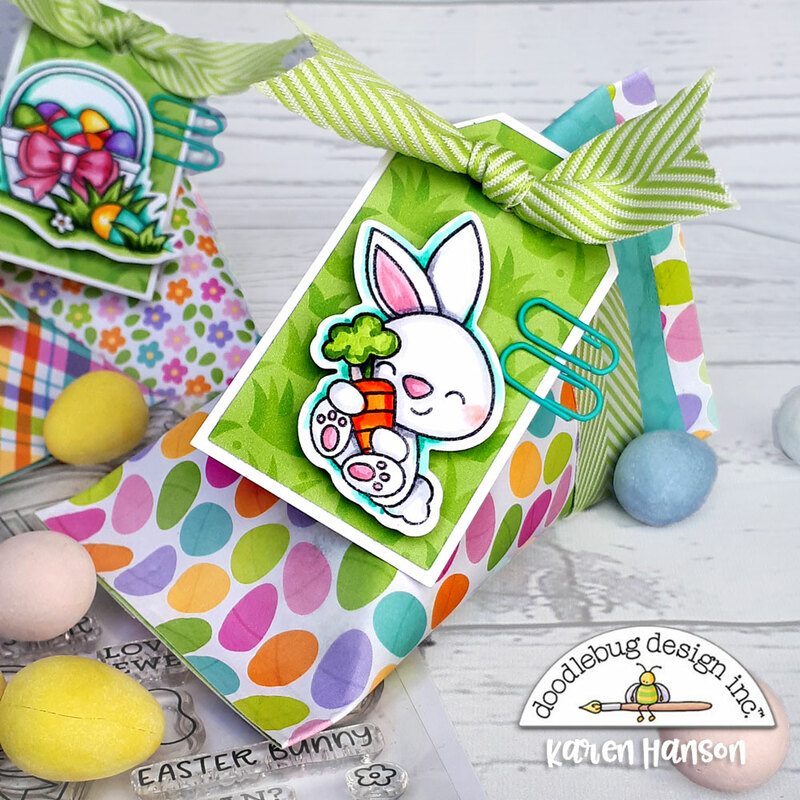 There are two different sizes for you to work with, and if you love making treat containers and cards as much as I do, this is a set you will use over and over again! And one of the other great parts about working with the stamps are all the little accessory stamps you can use to make each image your own. For this little basket, I actually used two images - one for the basket and the other for the grass and egg on the ground. With a bit of masking and layering, I was able to customize a great little image for this tag. 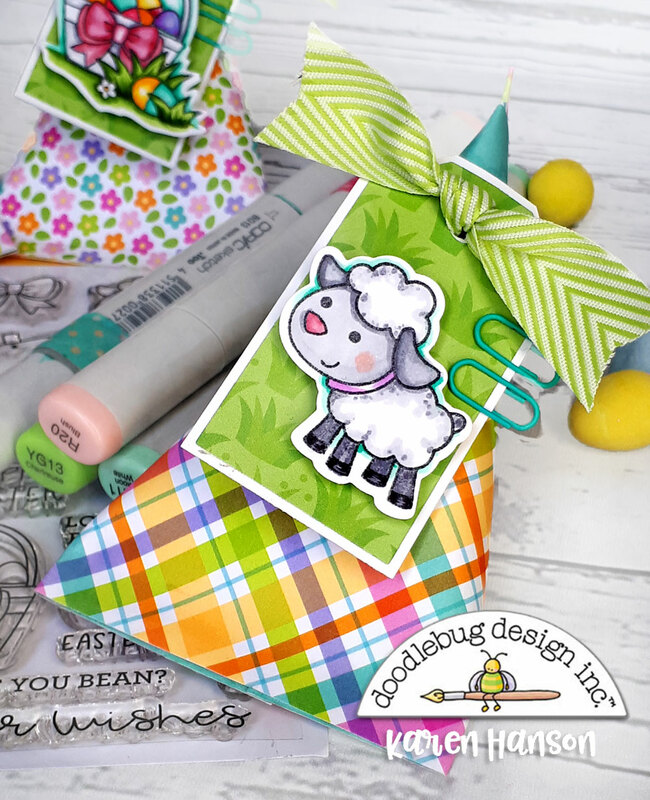 If you haven't noticed by all the projects I have done lately with the new stamps and dies from Doodlebug, I am in love! I mean really, how can you not love that face?! 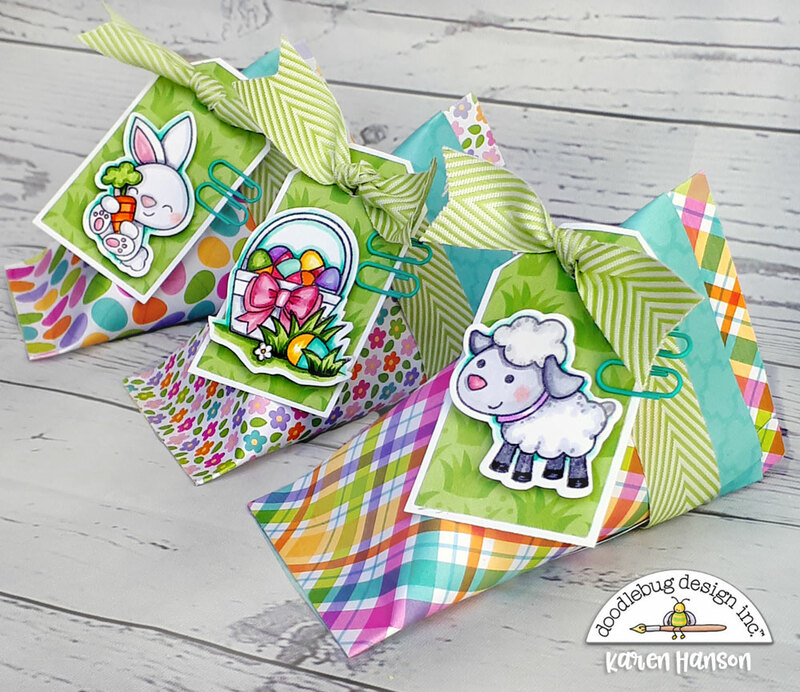 I hope this project inspired you to create a little something to make your Easter hunts even more special - or at least cute enough to hold your treats until you can get to them! Those little tags are darling!!!! I love the little die that made them! It's a great size! !